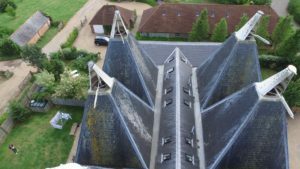 Survey Drones, known as the high flier of the Northern Bear group, has secured a partnership with a large insurance company to undertake drone surveys of damaged properties across the UK. Jason Harrison, Managing Director of Survey Drones, said: “Drones are the perfect tool for undertaking a survey of a suspected damaged roof. They are quicker and cheaper than traditional means of access such as scaffolding or cherry pickers. It can take days to erect a scaffold to provide safe access to high level or large buildings, and another day to perform a survey. Our drones can be deployed in less than 20 minutes and can typically complete a full survey in less than 1 hour. This speed has an obvious impact on costs, with drones always being the better value option. 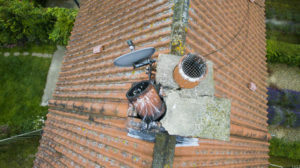 Survey Drones captures high quality video and stills pictures during a survey, allowing the insurance company to ascertain the condition of the roof and identify any damage. As required under UK law, Survey Drones holds a Permission for Commercial Operations (PfCO) certificate from the Civil Aviation Authority (CAA). It also has specialist drone insurance and fully trained remote pilots.